Many sandwiches have no season. 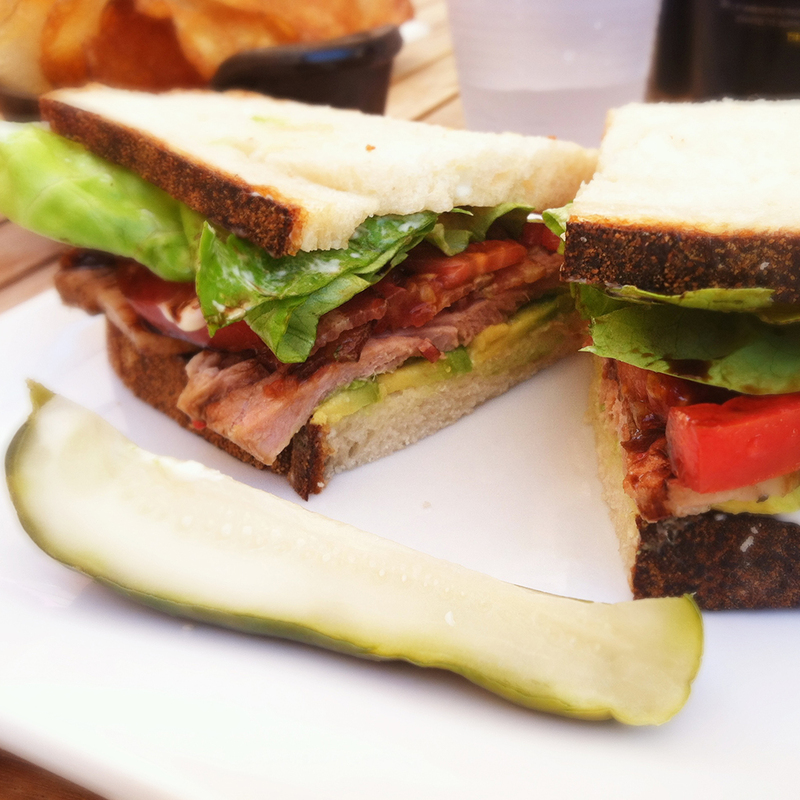 But this is the time of year that we can truly appreciate the glory of the humble BLT. With such a simple sandwich, every element must be perfect: crisp lettuce, meaty bacon, and above all, thick slices of juicy, summer-perfect tomato. These days, we see chefs getting mighty creative with the BLT, but the fundamentals are essential. The bread. Preferably toasted, high-quality sandwich slices; a key element, but nothing to steal the show. The filling. Excellent bacon—no dry, throwaway little strips. Ripe tomato. Fresh lettuce. All in proper proportion. And the importance of a smear of mayo can’t be overstated. Beyond that? Chefs have gone in any number of directions, but to properly be called a BLT, the namesake trinity must be intact. Zingerman’s Deli; Ann Arbor, MI The folks at Zingerman’s Deli know their sandwiches—and meats, and breads, and specialty foods from anywhere and everywhere. So it’s little surprise they have not one, but three excellent BLTs—stay classic with the Zingerman’s BLT, featuring Nueske’s applewood-smoked bacon, on their house-made rye bread; A Hot BLT, with applewood-smoked bacon, avocado and New Mexican green chiles; and the T.L.B.B.L.T., with Arkansas peppered bacon and Vermont cheddar on grilled farm bread. Ted’s Butcherblock; Charleston, SC This beloved butcher shop loves bacon so much, it’s got a Bacon of the Month Club—and a rotating BLT with said bacon of the month, alongside tomato, mixed greens and garlic aioli. The Sycamore Kitchen; Los Angeles This bakery-café doubles down on the pork belly with two versions in their Double B-LTA—crisp and braised—along with butter lettuce, tomatoes, mayo and avocado: This is California, after all. If you’re craving a BLT right now though, we’ve got a few options for you.